This is the wax figure of President Barack Obama. It is one the exhibits in Seoul 63 Wax Museum of South Korea. President Barack Obama is the current President of the United States. He holds the post as the President of USA after the victory of 2008 presidential election. He is the first African American to be the American President. 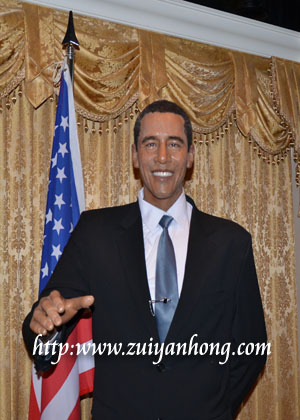 Visitors of 63 Wax Museum like to take photo with the wax figure of President Barack Obama.